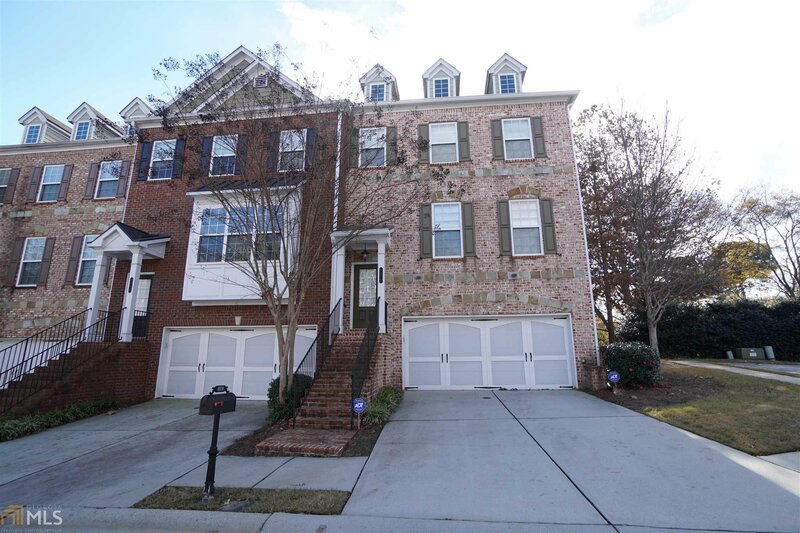 Immaculate End Unit in Gated Community w/ One of the Best Floor Plans & Tons of Upgrades! Main Level Features Open Layout w/ Hardwoods Throughout. Well Appointed Kitchen w/ Lots of Granite Counter Space, Stainless Steel Appliances, & Breakfast Bar w/ Great Views into the Family Room. New Recessed Lighting Installed in 2018 w/ Smart Switches. Oversized Master Bedroom w/ Tray Ceilings & Dual Sided Fireplace! Master Bath Boasts Double Vanities, Walk-In Closet, Whirpool Tub, & Upgraded Tile. Roommate Floor Plan w/ Additional Third BR on Terrace Level w/ Full Bath & Closet! Listing courtesy of Keller Williams Chattahoochee. Selling Office: Keller Williams Rlty First Atl.